They were on the car when I bought it. Sorry I couldn't be of much help. According to AFS's website, they're like $1600 a set but I'm sure they can be had cheaper on eBay. Is your car lowered at all? if so, how much? Has the Eibach Pro-Kit springs on it. I want it a tad lower so I may swap them out for some H&R SS springs. Thats awesome. Great looking car man! Some how I missed this thread. I`ll try again. Click it. Last edited by try846; 11-28-2008 at 09:01 AM. Nice looking rims. I see from your sig what size they are, I was just wondering if that 15-in rim fits over the stock brakes or if you had to make any modifications. I switched to GT rear rotors. When doing that I had to switch the rear caliber mounting bracket. Sure wish i could use my sig pic. Just a pic of a stock rim all cleaned up. I appreciate it! It has H&R springs with top isolator removed in the front, tokico shocks/struts and MM caster camber plates. The wheels are 18x9 all the way around for now, 245/45 front and 275/35 rear. Hopefully I'll have the 18x10s for the rear before too long! The best wheel ever. Do you have more photos somewhere? Is the lip on the 9" AFS wheel a little deeper than on the stock wheel? It looks about the same, but of course it's hard to tell in a pic. 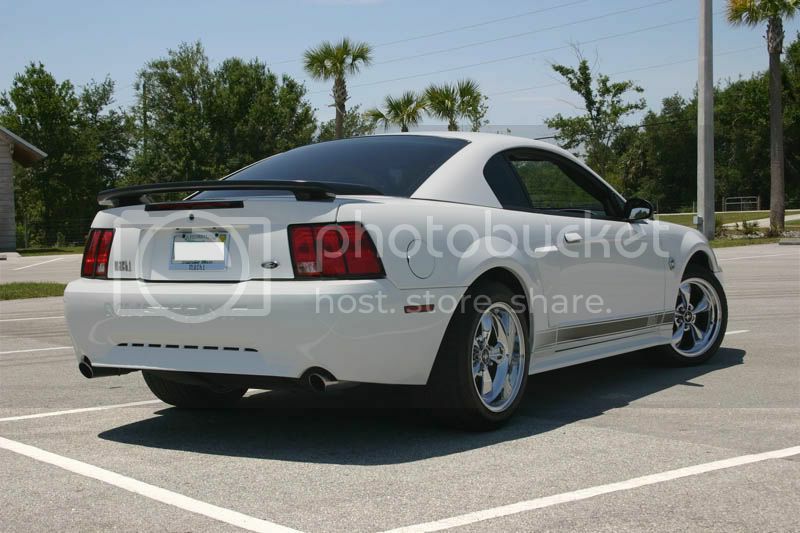 From what I can tell, the lip on the 9" AFS wheels are the same as the stock Mach rims. You can always find AFS rims on eBay for really good prices. I got my entire set of 18x9, new in a box, directly from AFS for $400. These are some awesome looking cars. Has anyone seen the black chrome bullitt wheels on a black car. 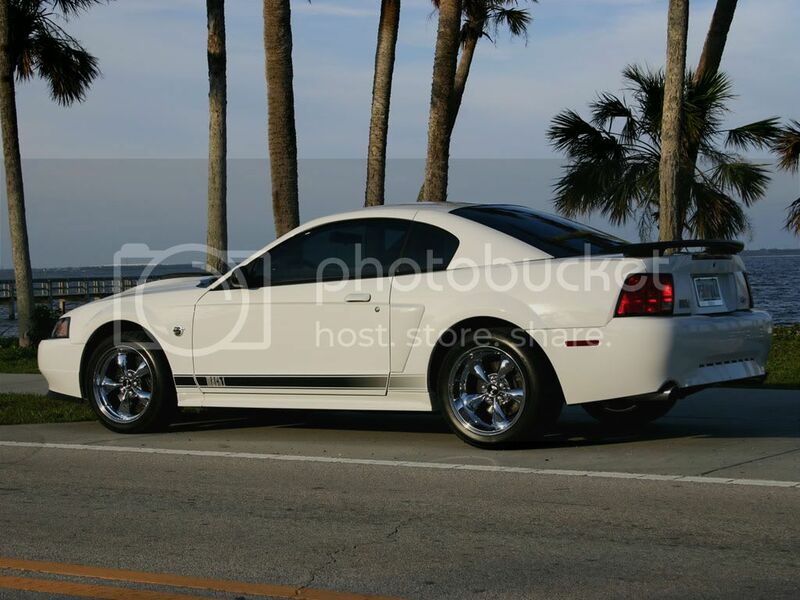 I am torn between black bullitts, black chrome bullitts, and black chrome heritage wheels for my black mach. I have not seen any machs or mustangs for that matter with the black chrome bullitts. If anyone has pics of the black chrome bullitts please post. I will be getting 17X9 front with 255s and 17X10.5 rear with 285s. this is 10.5 with spinner.